We're here today to inject Botox into the crow's feet. This is Jaime, and before we get started with her injections, I'm just going to introduce the muscle here. If you'll smile real big for me. This muscle right along here is the orbicularis muscle. It's creating these wrinkles right here, which come over time from smiling and also squinting from the sun. For the crow's feet there's typically three to four injections per side. We're going to go ahead and get started here with Jaime. The first thing I'm going to have her do is turn her head slightly that way. I'm going to use alcohol swab to cleanse the area. I will have her keep her eyes closed as well during this. Smile real big for me, Jaime. Good, turn back towards me just a little. Good. Relax. Our first injection, one. You'll see just a little blood right under the skin there. Then I usually just press down on it to disperse the Botox. Smile real big for me, Jaime. Good, go ahead relax. 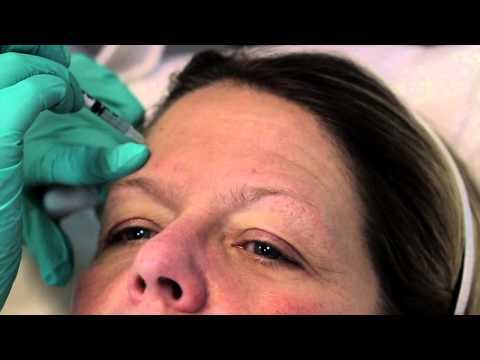 When we're injecting Botox into the crow's feet, we're injecting right into the little line. A little pressure. Jaime, go ahead and smile again. Good, relax. A little pressure. The last injection is just up here in the brow, a little pinch in the brow. 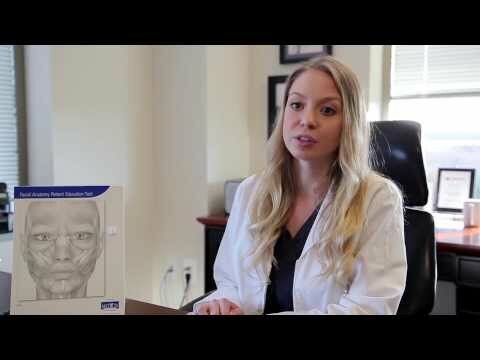 After a Botox injection into the crow's feet, we typically ask our patients to make sure that they do not lay down or exercise for the next four hours. We do like to see everybody back for a two week follow-up. Botoxing the crow's feet typically last somewhere between four and six months.